We are family owned and operated. 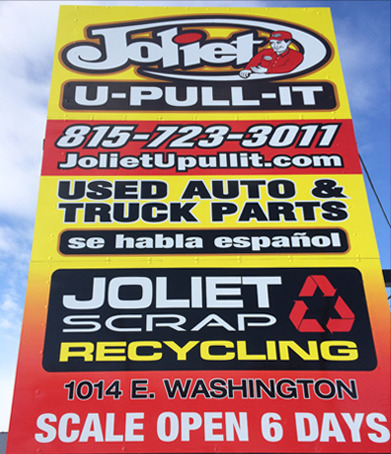 Joliet U­-Pull­-It & Scrap has over 1,000 used cars, trucks, and vans to choose from.We have the largest inventory of used auto and truck parts in the Joliet area. Our entire inventory is placed on stands for the convenience of our customer, so all you have to do is bring your own tools and pull the parts you need. All parts carry a 30 day exchange warranty with the original receipt. Not only do we sell used parts for your car needs, we will pay the highest price in the area for your junk vehicle. GUARANTEED. We pay top dollar for all ferrous and non- ferrous metals. ©2019 Joliet U-Pull-It & Scrap. All rights reserved.